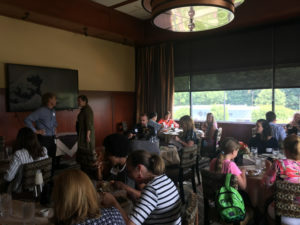 I had the opportunity to attend the monthly luncheon hosted by PRSA North Carolina Chapter last month at McCormick & Schmick’s. It was the first time I attended a PRSA event, and I enjoyed the chance to network with fellow professionals in a learning-driven atmosphere. The focus of the luncheon was on the recently launched “Influencer Series“, led cooperatively by the News & Observer, Charlotte Observer and Herald-Sun in Durham. They chose 60 North Carolina thought leaders in a variety of industries and asked them one question: “What is the single biggest challenge our leaders must confront to secure a better future for North Carolina?” Phil Lucey, the Executive Director of the N.C. Press Association and Sara Glines, the Publisher of the N&O, appeared as guest speakers to explain the series and to speak on the trends in both print and digital publication. Designed to generate a lasting conversation between North Carolina residents and thought leaders throughout the state, the program seeks to bridge the void that many modern Americans feel with the media. In an age of fake news and reporting to be first and not to be correct, this is something that could help deliver a more accurate and relatable product. With advocates, educators and business professionals from all walks of life, the panel of influencers will be surveyed on issues for the next five months. They will be questioned about their views on the problems with policy in North Carolina leading up to the local election. The top three issues that these influencers cited in response to the initial question were K-12 public education, the economy and polarization in society. Influencers are becoming imperative in any social campaign for any organization. Singing your own praise is necessary at times, but earning the true belief and conviction of other people cannot be done simply through self-advertising. You need people to support your ideas and prove to others that what you have to offer is special. As I sat in the small dining room and enjoyed my salad (that was pre-dressed with what seemed like gallons of vinaigrette), I thought about how public relations was connected with news outlets and influencer projects such as this one. Mr. Lucey had mentioned in his presentation that public relations and publication were intertwined but reminded everyone that social media was just a platform, not a media outlet. 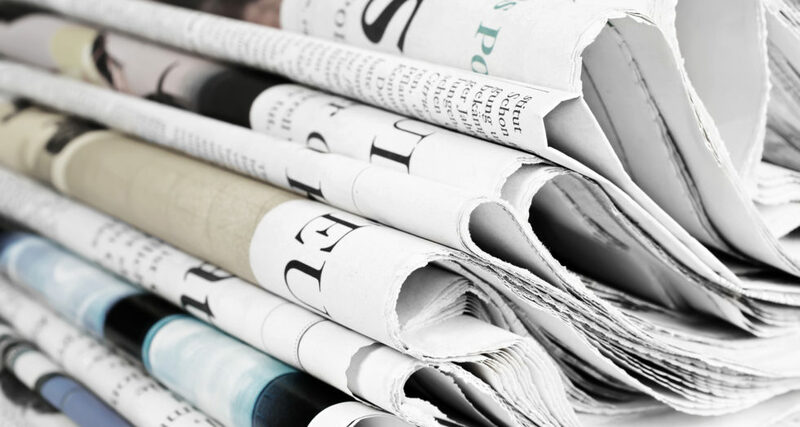 While PR professionals are not naturally tasked with being the main source of all local news, we have the ability to use social networks and connections to spread messages. Whether it is an agency or a corporate team, people must write, publish and create media as if it were an outlet. The facts must be checked, the sources must be reliable, and the product must be honest. PR is about being “injected and connected” within the world community. We are responsible for using the tools at our disposal with an honest and mutually beneficial intention. People are influenced by communication every day, giving PR folks chances at every corner to embody these characteristics. You never know when someone is going to learn something from your work, in some cases before it’s even on the news or in the paper. While we don’t report the news, we help shape it! Written by intern Nathan J. McDaniel, a senior at Western Carolina University.